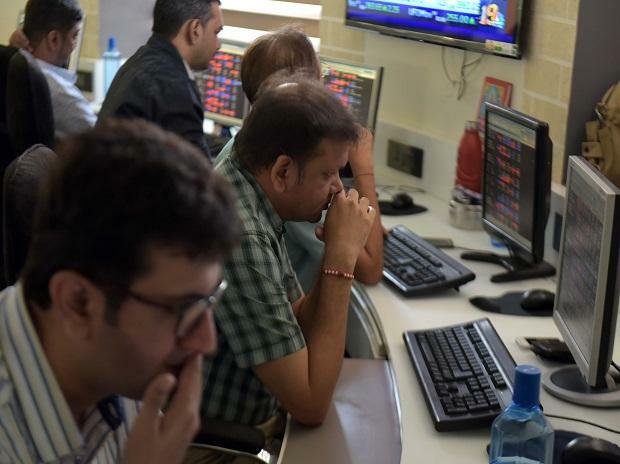 Benchmark indices ended flat on Thursday as investors weighed in on the first phase of 2019 Lok Sabha elections. Moreover, onset of March quarter financial results and CPI inflation data, which is scheduled to be released tomorrow, kept investors on tenterhooks. The S&P BSE Sensex gained 22 points or 0.06 per cent to end at 38,607, with Bharti Airtel (up over 2 per cent) being the top gainer and Vedanta (down 4 per cent) the worst laggard. In the broader market, the S&P BSE MidCap index ended 13 points higher at 15,382 while the S&P BSE SmallCap index slipped over 2 points or 0.02 per cent to close at 14,967. On NSE, the 50-share index Nifty slipped below the crucial 11,600 level to end at 11,597, up over 12 points or 0.11 per cent. Sectorally, metal stocks took the hardest knock, followed by IT and realty counters. The Nifty Metal index slipped 1.22 per cent to end at 3,067.45. Shares of Rail Vikas Nigam Limited (RVNL) made a tepid debut by listing at Rs 19, at par against the issue price on the National Stock Exchange (NSE). The stock, eventually, closed at Rs 19.05 apiece. SKF India shares hit a new high of Rs 2,165, up 2 per cent, in intra-day trade, before settling at Rs 2105 apiece on BSE, down nearly a per cent. Manappuram Finance shares rose over 7 per cent in intra-day trade on the back of heavy volumes in an otherwise subdued market. The stock closed nearly 6 per cent higher at Rs 127.30 apiece on BSE. Asian stocks stepped back from near eight-month highs on Thursday and the dollar eased as cautious European and U.S. central banks reinforced investors’ worries about the slowing global economy and trade protectionism. MSCI’s broadest index of Asia-Pacific shares outside Japan slipped 0.4 per cent after four straight days of gains took it to the highest since last August. Japan’s Nikkei reversed early losses to end 0.1 per cent higher. Losses in Asia were led by Chinese shares, with the blue-chip CSI300 index off 1.7 per cent while Hong Kong’s Hang Seng index stumbled 0.7 per cent.